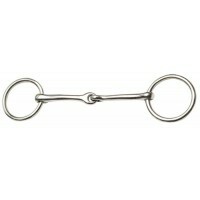 This sliding barrel on this bit eliminates pinching and the special Blue Steel Alloy produces saliva.. 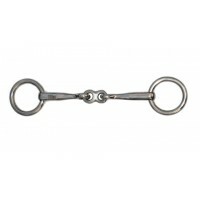 The bit of choice for Campdrafters featuring a Curved Blue Steel Mouth, Tongue Plate and Large 9.5mm..
Flayva Ring Snaffle Bits with loose stainless steel rings have the sweet fresh smell of apples to en..
For training young horses. 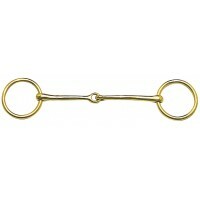 Loose rings give more movement and full cheeks prevent pinching and provi..
A traditional FM Bit in Gold Brass that is warmer and better accepted than Stainless Steel. Top qual.. Stainless steel. 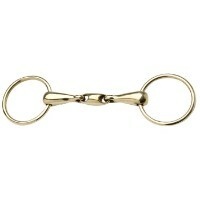 Sometimes referred to as a "Mini" bit. A very fine jointed mouthpiece. This bi.. Stainless Steel. 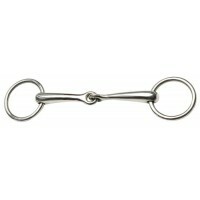 This snaffle is a very common type of bit. 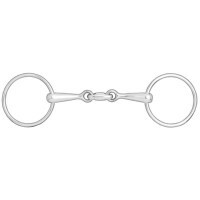 Made of smooth, polished stainless .. Stainless Steel. Use with Sliding Cheek Weymouth, Fixed Cheek Weymouth, or as a bit on its own. 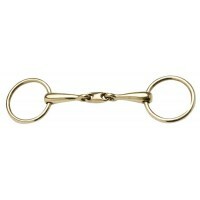 ..
Zilco Gold. 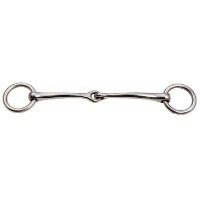 Use with low port weymouth or as a bit on its own. 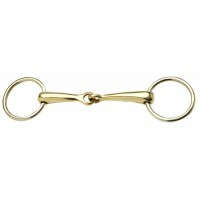 Mouth Thickness: 13mm ..
Zilco Gold. 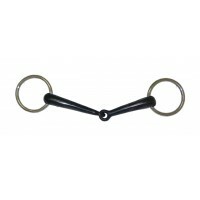 KK Style soft bit that eliminates the nutcracker action associated with normal single jo.. Stainless steel. 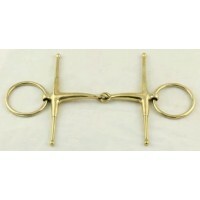 Avoids the 'nutcracker' action of single jointed bits. 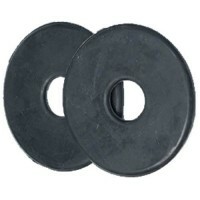 Sizes: 4½", 5",.. 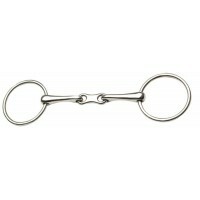 Stainless Steel snaffle with a thick lightweight hollow mouthpiece and 65mm ring size. 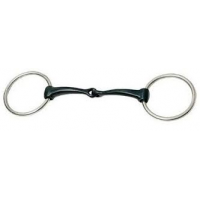 &nbs..
Ring Snaffle Lozenge Joint 6"
This double jointed snaffle is an ordinary bit that stimulates the horse without the nutcracker effe..
Soft rubber mouthpiece, ideal for horses with sore mouths. 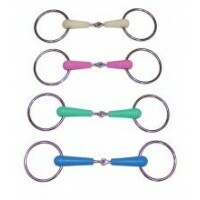 Sizes: 4¾", 5¼", 5½" Mouth Th.. Stainless steel bit with single barrel roller. 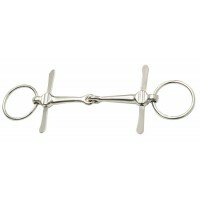 Delivers less palate pressure than a single joint bit..
A breaking bit for young horses. The keys encourage the horse to salivate and get the feel of .. 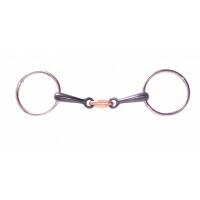 Thick mouth stainless steel ring bit with "lozenge" shaped joint that sits flat on the tongue with r..
Made from a special mix of 85% copper and quality metals which produces a bit with superior strength.. 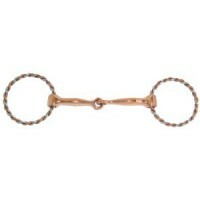 Extremely severe bit with two twisted copper wire mouthpieces for extra hard pullers. Size.. 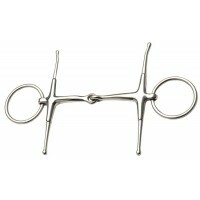 Single twisted wire to train and retrain horses that pull. Stainless Steel. Size: 5"&.. 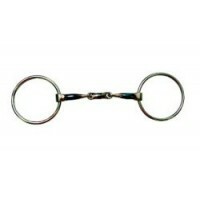 This ball joint bit is extremely flexible encouraging the horse to chew and accept the bit. 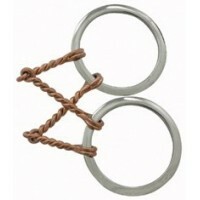 Stainles..
70mm stainless steel ring. 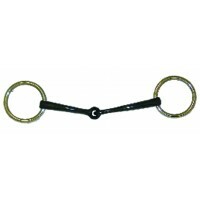 This fine mouth bit assist with horses who pull. Sizes: 4½", 5", 5½.. 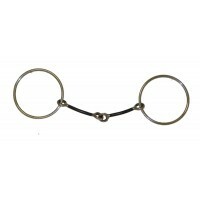 Extra thin sweet iron ring snaffle. Sizes: 5", 5½".. 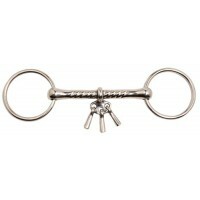 Loose ring sweet iron training snaffle with copper lozenge. 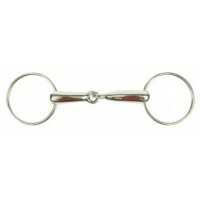 Size: 5", 5½"..
45mm stainless steel ring. 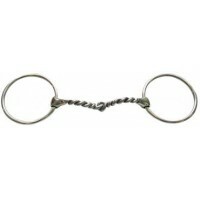 This fine mouth bit assist with horses who pull. 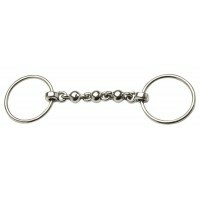 Sizes: 4½", 5"..
45mm stainless steel rings. 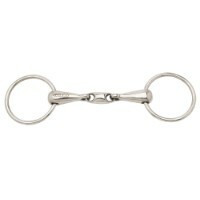 The curved mouth on softens the nutcracker action for a better resp..
45mm stainless steel ring. Sizes: 4½", 5", 5½", 5¾"..
Nickle Plated. 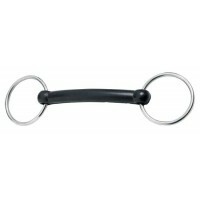 A very popular bit with loose rings and jointed mouthpiece. Sizes: 3½", 4.. Stainless Steel. 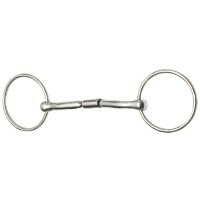 A very popular bit with loose rings and jointed mouthpiece. 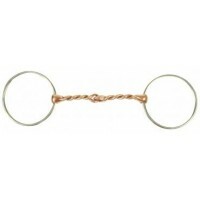 Mouth Thickness &..
Two-tone Stainless Steel & Copper twisted wire rings, with copper mouthpiece. 5"..